Manchester United midfielder Paul Pogba is reportedly ready to make a major u-turn over his future and sign a new contract at Old Trafford instead of looking for a transfer away. The France international has been in superb form recently following the sacking of Jose Mourinho and the appointment of Ole Gunnar Solskjaer as interim manager. Although Pogba had looked ready to quit United this January, he is now said to be prepared to go back on that and sit down for talks over a new contract with the Red Devils, according to the Sun. 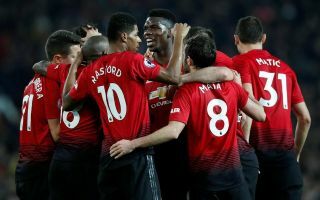 This could be huge news for United fans, who’ll no doubt be thrilled to see Pogba’s improved form and confidence on the pitch stemming from Solskjaer’s arrival. And if the Norwegian tactician can persuade the 25-year-old to commit his future to the club then even better. Paul Pogba to stay at Manchester United? It could also do Solskjaer no harm in his case to get the Man Utd job permanently come the end of the season. The 45-year-old should in theory be replaced by a bigger name at MUFC in the summer, but if he carries on like this he will surely be a leading contender to land the job permanently.